This is part #2 of the SPARKZumo project where we go through how to actually integrate a CCG application in with other source code and how to create GPS plugins to customize features like automating builds and flashing hardware. To read more about the software design of the project visit the other blog post here. At the beginning of our build process we have a few different types of source files that we need to bring together into one binary, Ada/SPARK, C++, C, and an Arduino sketch. During a typical Arduino build, the build system converts the Arduino sketch into valid C++ code, brings in any libraries (user and system) that are included in the sketch, synthesizes a main, compiles and links that all together with the Arduino runtime and selected BSP, and generates the resulting executable binary. The only step we are adding to this process is that we need to run CCG on our SPARK code to generate a C library that we can pass to the Arduino build as a valid Arduino library. The Arduino sketch then pulls the resulting library into the build via an include. Run CCG on the SPARK/Ada Code to produce C files and Ada Library Information files, or ali files. For more information on these files, see the GNAT Compilation Model documentation. We will use the lib directory in the main repo to house the generated Arduino library. Run c-gnatls on the ali files to determine which runtime files our application depends on. Copy those runtime files into the Arduino library structure. Make sure our Arduino sketch has included the header files generated by the CCG tool. Run the arduino-builder tool with the appropriate options to tell the tool where our library lives and which board we are compiling for. Then we can flash the result of the compilation to our target board. That seems like a lot of work to do every time we need to make a change to our software! Since these steps are the same every time, we can automate this. Since we should try to make this as host agnostic as possible, meaning we would like for this to be used on Windows and Linux, we should use a scripting language which is fairly host agnostic. It would also be nice if we could integrate this workflow into GPS so that we can develop our code, prove our code, and build and flash our code without leaving our IDE. It is an Integrated Development Environment after all. 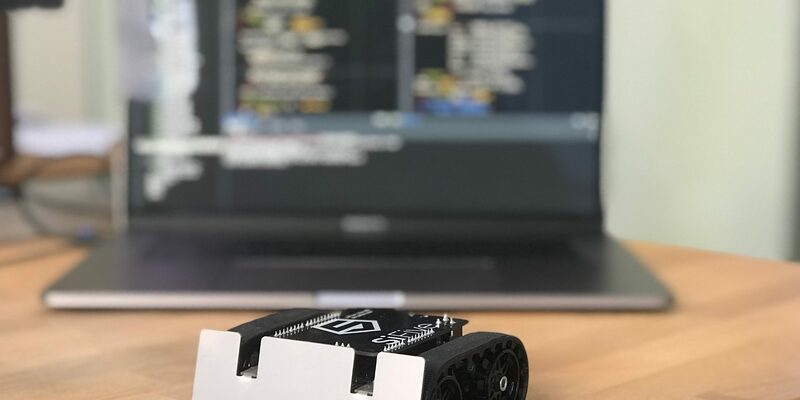 The arduino-builder program is the command line version of the Arduino IDE. When you build an application with the Arduino IDE it creates a build.options.json file with the options you select from the IDE. These options include the location of any user libraries, the hardware to build for, where the toolchain lives, and where the sketch lives. We can pass the same options to the arduino-builder program or we can pass it the location of a build.options.json file. The “otherLibrariesFolders” to point to the absolute path of the lib folder in the repo. The”sketchLocation” to point at the SPARKZumo.ino file in the repo. The other conf files in the conf directory are there to configure the flash utilities. When flashing the AVR on the Arduino Uno, the avrdude flash utility is used. This application takes the information from the flash.yaml file and the path of the avrdude.conf file to configure the flash command. Avrdude uses this to inform the flashing utility about the target hardware. The HiFive board uses openocd as its flashing utility. The openocd.cfg file has all the necessary configuration information that is passed to the openocd tool for flashing. Under the hood, GPS, or the GNAT Programming Studio, has a combination of Ada, graphical frameworks, and Python scripting utilities. Using the Python plugin interface, it is very easy to add functionality to our GPS environment. For this application we will add some buttons and menu items to automate the process mentioned above. We will only be using a small subset of the power of the Python interface. For a complete guide to what is possible you can visit the Customizing and Extending GPS and Scripting API Reference for GPS sections of the GPS User’s Guide. Depending on your use case you can add Python plugins in a few locations to bring them into your GPS environment. There are already a handful of plugins that come with the GPS installation. You can find the list of these plugins by going to Edit->Preferences and navigating to the Plugin tab (near the bottom of the preferences window on the left sidebar). Because these plugins are included with the installation, they live under the installation directory in <installation directory>/share/gps/plug-ins. If you would like to modify you installation, you can add your plugins here and reload GPS. They will then show up in the plugin list. However, if you reinstall GPS, it will overwrite your plugin! There is a better place to put your plugins such that they won’t disappear when you update your GPS installation. GPS adds a folder to your Home directory which includes all your user defined settings for GPS, such as your color theme, font settings, pretty printer settings, etc. This folder, by default, lives in <user’s home directory>/.gps. If you navigate to this folder you will see a plug-ins folder where you can add your custom plugins. When you update your GPS installation, this folder persists. Depending on your application, there may be an even better place to put your plugin. For this specific application we really only want this added functionality when we have the SPARKzumo project loaded. So ideally, we want the plugin to live in the same folder as the project, and to load only when we load the project. To get this functionality, we can name our plugin <project file name>.ide.py and put it in the same directory as our project. When GPS loads the project, it will also load the plugin. For example, our project file is named zumo.gpr, so our plugin should be called zumo.ide.py. The source for the zumo.ide.py file is located here. Now that we have the ability to run some scripts by clicking buttons we are all set! But there’s a problem; when we execute a script from a button, and the script takes some time to perform some actions, GPS hangs waiting for the script to complete. We really should be executing our script asynchronously so that we can still use GPS while we are waiting for the tasks to complete. Python has a nice feature called coroutines which can allow us to run some tasks asynchronously. We can be super fancy and implement these coroutines using generators! In this function we are going to execute a script called script and pass 2 arguments to it. We wrap the call to the script in a ProcessWrapper which returns a promise. We then yield on the result. The process will run asynchronously, and the main thread will transfer control back to the main process. When the script is complete, the yield returns the stdout and exit code of the process. We can even feed some information back to the user about the progress of the background processes using the task.set_progress call. This registers the task in the task window in GPS. If we have many tasks to run, we can update the task window after each task to tell the user if we are done yet. The ProcessWrapper interface is nice if we need to run an external script but what if we want to trigger the build or one of the gnat tools? With this code, we are triggering the same action as the Build All button or menu item. Here we are calling gnatdoc with the arguments listed in extra_args. This command will generate the project documentation and put it in the directory specified by the Documentation_Dir attribute of the Documentation package in the project file. In this case, I am putting the docs in the docs folder of the repo so that my GitHub repo can serve those via a GitHub Pages website. The file that drives the GNAT tools is the GNAT Project file, or the gpr file. This file has all the information necessary for GPS and CCG to process the source files and build the application. We can access all of this information from the plugin as well to inform where to find the source files, where to find the object files, and what build configuration we are using. For example, to access the list of source files for the project we can use the following Python command: GPS.Project.root().sources(). Another important piece of information that we would like to get from the project file is the current value assigned to the “board” scenario variable. This will tell us if we are building for the Arduino target or the HiFive target. This variable will change the build configuration that we pass to arduino-builder and which flash utility we call. We can access this information by using the following command: GPS.Project.root().scenario_variables(). This will return a dictionary of all scenario variables used in the project. We can then access the “board” scenario variable using the typical Python dictionary syntax GPS.Project.root().scenario_variables()[‘board’]. When we parse this output we will have to make sure we run c-gnatls against all ali files generated by CCG, we will need to strip out any files listed that are actually part of our sources already, and we will need to remove any duplicate dependencies. The c-gnatls tool also lists the Ada versions of the runtime files and not the C versions. So we need to determine the C equivalents and then copy them into our Arduino library folder. The __get_runtime_deps function is responsible for all of this work. If you had a chance to look at the first blog post in this series, I talked about a bit about code in this application that was used to do some filtering of discrete states using a graph filter. This involved mapping some states onto some physical geometry and sectioning off areas that belonged to different states. The outcome of this was to map each point in a 2D graph to some state using a lookup table. To generate this lookup table I used a python library called shapely to compute the necessary geometry and map points to states. Originally, I had this as a separate utility sitting in the utils folder in the repo and would copy the output of this program into the geo_filter.ads file by hand. Eventually, I was able to bring this utility into the plugin workflow using a few interesting features of GPS. Where dependency is the thing you are looking to install. In the case of this plugin, I only need the shapely library and am installing that when the GPS plugin is initialized. The Libadalang library is now included with GPS and can be used inside your plugin. Using the libadalang interface I was able to access the value of user defined named numbers in the Ada files. This was then passed to the shapely application to compute the necessary geometry. This snippet creates a new Libadalang analysis context, loads the information from a file and searches for a named number declaration called ‘my_var’. The value assigned to ‘my_var’ is then stored in our variable value. This gave me the line and column number of the start of the array aggregate initializer for the lookup table ‘my_array’. First we open a buffer to the file that we want to edit. Then we create a GPS.Location for the beginning and end of the current array aggregate positions that we obtained from Libadalang. Then we remove the old information in the buffer. We then turn the array we received from our shapely application into a string and insert that into the buffer. We have just successfully generated some Ada code from our GPS plugin! Most probably, there is already a plugin that exists in the GPS distribution that does something similar to what you want to do. For this plugin, I used the source for the plugin that enables flashing and debugging of bare-metal STM32 ARM boards. This file can be found in your GPS installation at <install directory>/share/gps/support/ui/board_support.py. You can also see this file on the GPS GitHub repository here. In most cases, it makes sense to search through the plugins that already exist to get a starting point for your specific application, then you can fill in the blanks from there. You can view the entire source of GPS on AdaCore’s Github repository. That wraps up the overview of the build system for this application. The source for the project can be found here. Feel free to fork this project and create new and interesting things. Rob Tice joined AdaCore in 2016 as a Technical Account Manager. With a degree in Electrical Engineering from Rensselaer Polytechnic Institute, he has worked in the industrial automation and music technology industries as a hardware engineer and embedded software engineer before joining AdaCore.